Having taken a four-year break after their third album ‘In This Light and On This Evening’ post-punk purveyors Editors returned in 2013 with ‘The Weight Of Your Love’ after a band reshuffle that marked their desire to change direction. The record got a mixed reception and may not stand out at first, but was definitely one that grew on you with every listen. Now two years later new album ‘In Dream’ is similarly understated and sees the band change direction once more, revelling in synths and electronica; an angle similar to the aforementioned third album. The album opens with one of its best tracks, the brooding, powerful ‘No Harm’. 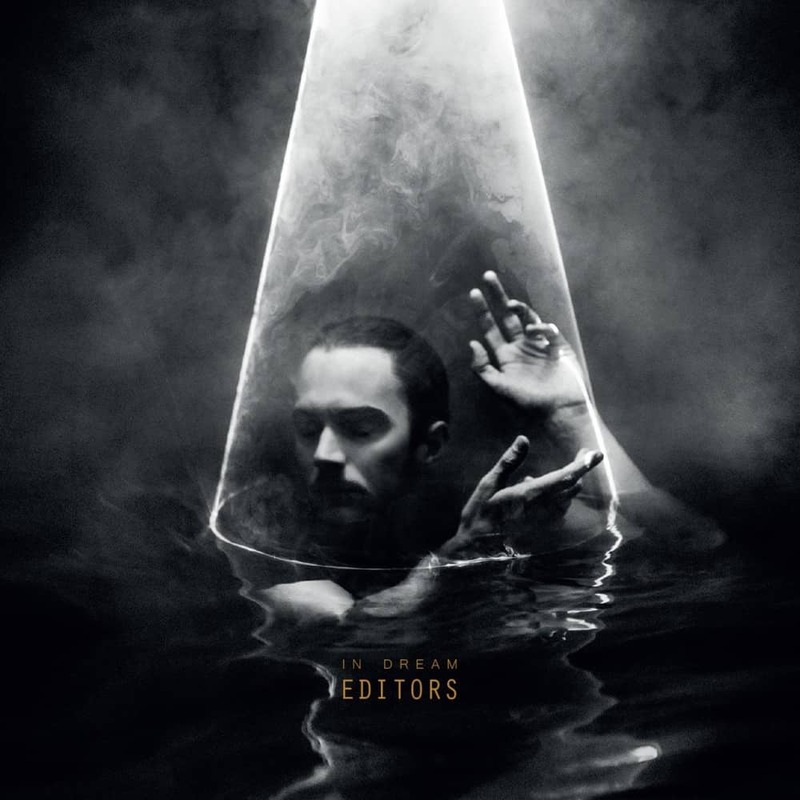 This is Editors at both their lyrical and musical best, a reverberating keyboard refrain and undulating beat building an ethereal atmosphere on top of which Smith’s vocals do wonders. The song also lets him fully utilise his remarkable vocal range as he takes the opportunity to contrast the solemn nature of the verses with the operatic chorus. It truly is a fantastic way to start an album, so it’s a bit of a shame that the next few songs aren’t quite as brilliant. ‘Ocean of Night’ and ‘Forgiveness’ are both perfectly pleasant, but you get the sense that it’s Smith’s voice doing most of the work, ensuring the song keeps its head above water with a typically strong vocal performance. This means the musicianship, which isn’t among the band’s best by any stretch, is subsequently buried. Nice enough, but not on a par with the opening track. We’re back on track again with the barnstorming ‘Salvation’, another song that balances its sombre side with a more animated edge, this time with a powerful orchestral chorus that really hits home. ‘Life Is A Fear’ is the first official single despite being released after a couple of other tracks and it’s easy to see why. Its unabashed synthpop sensibility means that it pulsates with energy, allowing Smith to ruminate in his trademark style with typically philosophical lyricism. Much like ‘No Harm’, Smith contrasts his vocals, the verses his trademark booming deep while the choruses are again a chance for him to showcase his falsetto. This is another of the standout tracks alongside ‘No Harm’, and is sure to delight at future live shows. Sixth track ‘The Law’ sees a guest vocalist lend their voice on a track for the first time on an Editors record, a landmark occasion. Slowdive’s Rachel Goswell turns up to perform a duet on a song that revels in its minimalism, but doesn’t quite captivate in the same way as the best tracks on the album. Still, it’s nice to see the band branching out and trying new things. After ‘Our Love’, a song that would feel perfectly at home in an 80s disco and is perfectly pleasant without being memorable, we get ‘All the Kings’. This is a simple song, reliant on a memorable repeated refrain that reverberates through your headphones and revels in its irresistibility. It’s a fantastically constructed piece, making perfect use of its instrumentation as well as Smith’s exuberant vocals without feeling overly reliant on his vocal talent like a few of the other songs earlier in the album do. “All the kings are coming/Marching to the sound from your ribcage” croons Smith, poetic as ever, leading us on a march that’s impossible to shake. The album winds down with ‘At All Cost’ and ‘Marching Orders’, the former a beautiful, considered song that swaps an infectious beat for a calm sea of atmospheric contemplation, taking you seamlessly in to a closer that is exactly what you want, the band on top form with an epic song that shows how far they’ve come. Sure, they’re still dark, they still love enveloping you in gloomy soundscapes, but there is light at the end of that tunnel. “I will fall with the rain/I will flicker with the flame” bellows Smith, defiant against a barrage of synths. The chorus is euphoric, on a par with tracks like ‘Papillon’ for its ability to engage, and it will almost certainly challenge the former staple show closer for that spot in the billing. Sure, ‘In Dream’ is uneven and sure, some of the songs are markedly better than others which simply blend in to the ether, but it’s refreshing to see that a band can change direction so drastically and yet successfully maintain a sense of who they are, not getting lost in the tinkering and excitement of the process. It may not be a perfect album, but ‘In Dream’ is a brave and challenging one, and so it’s hard not to fall for it in the end.